As the scope and scale of the disaster becomes apparent, the response from Pakistani government and the international community has been very slow and inadequate. Coming on the heels of continuing terrorist violence and a slow economy, the floods have further challenged even the greatest optimists in Pakistan. 1. Pakistan is well on its way to becoming an urban middle class society. The country is already more urbanized with a larger middle class than India's as percentage of the population. 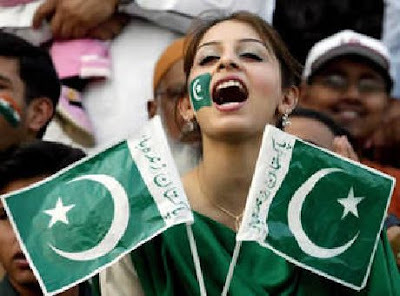 In 2007, Standard Chartered Bank analysts and State Bank governor Dr. Ishrat Husain estimated there were 30 to 35 million Pakistanis earning an average of $10,000 a year. Of these, about 17 million are in the upper and upper middle class, according to a recent report. 2. There is an unstoppable mass media revolution sweeping the nation. It began ten years ago when Pakistan had just one television channel, according to the UK's Prospect Magazine. Today it has over 100. Together they have begun to open up a country long shrouded by political, moral and religious censorship—taking on the government, breaking social taboos and, most recently, pushing a new national consensus against the Taliban. The birth of privately owned commercial media has been enabled by the Musharraf-era deregulation, and funded by the tremendous growth in revenue from advertising targeted at the burgeoning urban middle class consumers. Analysts at Standard Charter Bank estimated in 2007 that Pakistan had 30 million people with incomes exceeding $10,000 a year. With television presence in over 16 million households accounting for 68% of the population in 2009, the electronic media have also helped inform and empower many rural Pakistanis, including women. 3. With the popular civil society movement for restoration of democracy and rule-of-law in 2007-2008, political activism by the middle class has been on the rise in Pakistan. The nation has very energetic political talk shows on dozens of TV channels, and a very active blogosphere. With only about 20 million internet users in a population of over 160 million people as of 2010, it is among the most politically active nations online, according to Huma Yousuf, reporter for the Christian Science Monitor in Pakistan. 4. For the first time in the nation's history, President Musharraf's education adviser Dr. Ata ur Rahman succeeded in getting tremendous focus and major funding increases for higher education in Pakistan. The extraordinary increase in funding helped establish 51 new universities and degree awarding institutions during 2002-2008, tripling university enrollment (which had reached only 135,000 from 1947 to 2003) to about 400,000 in 2008, establishment of a powerful digital library which provides free nation-wide access to every student in every public sector university to 45,000 textbooks/research monographs from 220 international publishers as well as to 25,000 international research journals. According to Sciencewatch, which tracks trends and performance in basic research, citations of Pakistani publications are rising sharply in multiple fields, including computer science, engineering, mathematics, material science and plant and animal sciences. The number of papers published by Pakistani scientists reached 4300 in 2007 (For comparison purposes, India-based authors published 27000 papers in 2007, according to Science Watch). Over two dozen Pakistani scientists are actively working on the Large Hadron Collider; the grandest experiment in the history of Physics. Pakistan now ranks among the top outsourcing destinations, based on its growing talent pool of college graduates. According to Pakistan Software Export Board, Pakistani IT industry has grown at 40% CAGR during the 2001-2007, and it is estimated at $2.8 billion as of last year, with about half of it coming from exports. As evident from the overall results, there has been a significant increase in the numbers of universities and highly-educated faculty and university graduates in Pakistan. There have also been some instances of abuse of incentives, opportunities and resources provided to the academics in good faith. The quality of some of the institutions of higher learning can also be enhanced significantly, with some revisions in the incentive systems. 5. While Pakistanis are poor, they are still better off than than their neighbors, according to a recent Oxford report on multi-dimensional poverty. 6. UNDP publishes the Education Index which is measured by the adult literacy rate (with two-thirds weighting) and the combined primary, secondary, and tertiary gross enrollment ratio (with one-third weighting). The adult literacy rate gives an indication of the ability to read and write, while the GER gives an indication of the level of education from kindergarten to postgraduate education. On this UNDP education index, Pakistan scores low at 0.665 and ranks 137, but it is still ahead of India's score of 0.638 and ranking of 142nd on a list of 176 nations. 7. Pakistan is blessed with many social entrepreneurs who are engaged in activities ranging from microfinancing to enable small entrepreneurs to providing solutions such as clean water, solar lighting, setting up schools, etc. to help fill the vacuum left by the government. These people believe in lighting candles instead of cursing darkness. While I recognize that Pakistan in its current state faces many difficult crises and falls short of the expectations of many in dealing with them, I do believe that Pakistanis have what it takes to move forward as an urban middle class nation capable of dealing with its problems. Its glass is half full, and all it takes to fill it up is the will to do it....and I expect that when the going gets tougher, the tough will get going in Pakistan to meet the challenges. I'll conclude here by leaving you with the following question: If not now, when? If not us, who? The results of the 2010 global wellbeing survey of 124 nations conducted by Gallup reveals that only about 21% of people consider themselves “thriving,” the highest level of wellbeing. Around 1000 people over the age of 15 were asked whether in their lives they felt they were “thriving,” “struggling,” or “suffering,” measured on a scale from zero to 10. Anything seven or above was considered as thriving, according to the methodology used in the study. India fared worse than average. Based on the findings, it ranked 71st in the list, with only 17% of respondents reported as thriving. (This was in line with the broader Asian average). India’s neighbor Pakistan, despite its more volatile political and economic situation, ranked 40th, with 32% of the people describing themselves as thriving. This category means more than just general wellbeing, and includes better overall health, measured in terms of fewer sick days, less stress or sadness, and more happiness and respect. Alarmingly, in India 64% of people saw themselves as struggling. The survey describes people who fall into this category as being more stressed, more concerned about their economic wellbeing and less healthy, in terms of their lifestyle and eating habits. The Danish lead the wellbeing list with 72% falling into the thriving category, while Chad ranked lowest, with only 1% describing themselves as such. Americans ranked average, with 59% of them thriving and only 3% suffering. China, despite its impressive GDP figures, didn’t do that well, with only 12% of people describing themselves as thriving. While there were gaps between developed and developing countries, a lot also depended on a country’s political situation and natural disasters, the survey shows. For instance, Haiti, where the 2010 earthquake claimed the lives of up to 250,000 people, those in the thriving range are only 2%. “As the uprisings in Tunisia and Egypt showed earlier this year, leaders should not rely on GDP alone as an indicator of how well their countries and their citizens are doing. Monitoring and improving behavioral economic measures of wellbeing are important to helping leaders better the lives of all their residents,” the survey reveals. Consultant of psychiatry at New Delhi’s Moolchand Medcity, Dr. Jitendra Nagpal held a similar view. In an emailed response to India Real Time, Dr. Nagpal also agreed that nations whose people claim to be happy may or may not be economically sound. Dr. Nagpal added that happiness is more about the ability to do what you want to do, rather than fulfilling life’s basic needs.